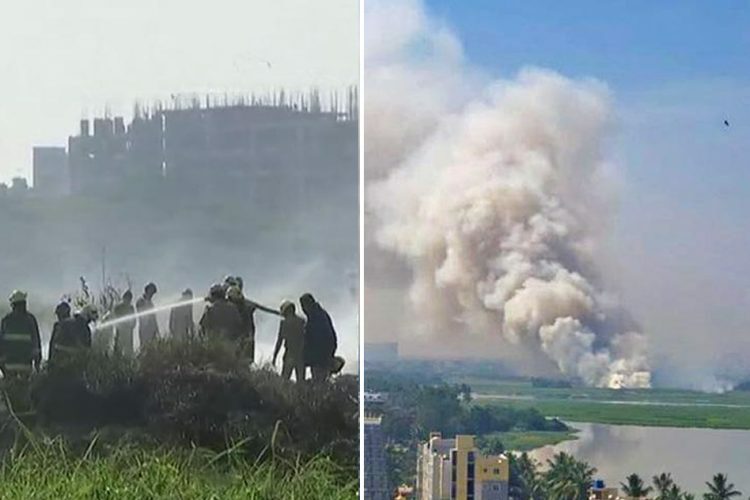 Bellandur lake, sprawling over 1000 acres was engulfed by an enormous fire on January 19. The lake is infamous for toxic foams forming on the surface of the water body because of pollution. The fire raged for around 7 hours and the video clips captured by the bystanders show black smoke above the lake. 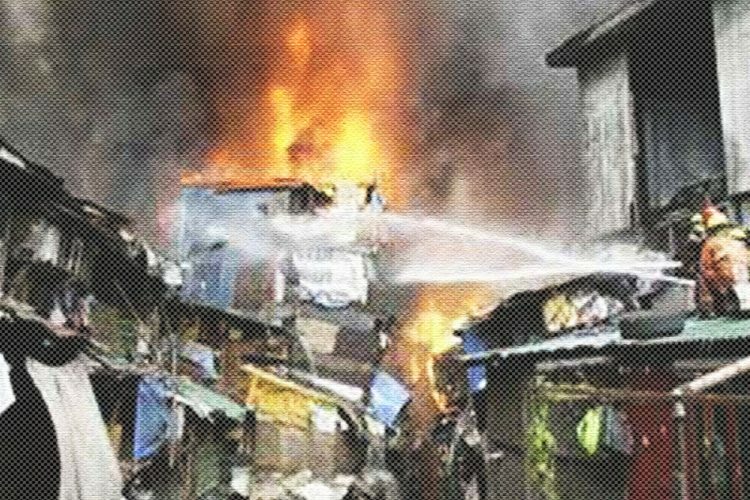 It took 5000 Army personnel to get the situation under control, who with the help of firefighters managed to control the massive fire. 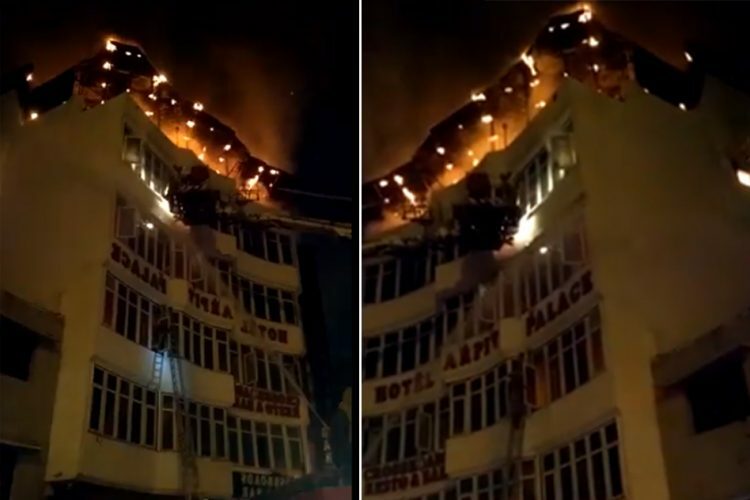 The army came to the rescue of the Bangalore residents and didn’t allow the fire to spread. They are still keeping a close vigil over the area so that no untoward incident takes place further considering the possibility of the fire to spread to the nearby civil areas as well as the army cantonment. No loss to life or property has been detected; however, one army man was bitten by a snake while struggling to put out the fire as told by Major General Narpat Singh Purohit, Commandant of the ASC Centre. He also said that it was due to the outbreak of fire that all the snakes and reptiles came out. The soldier who got bitten is out of danger and is undergoing treatment. Another officer associated with the state fire emergency said that the information about the lake roaring with fire was given to them in the evening. Immediately after, a jet fighter engine that can throw water up to 300 meters was taken to the spot to hasten the process of fire extinguishing. 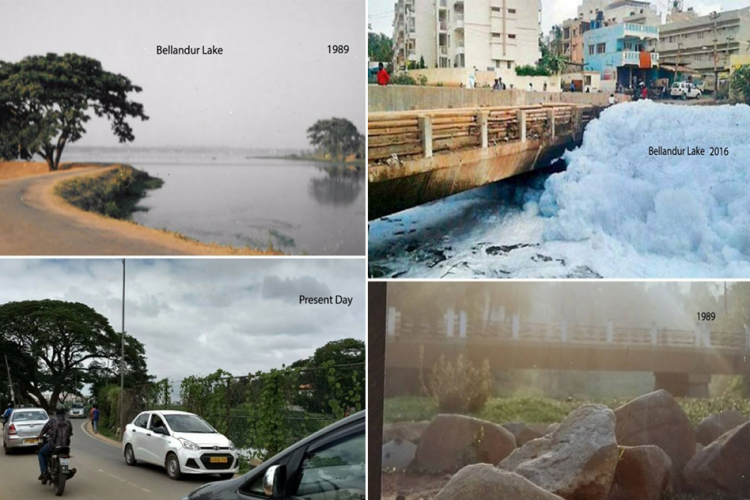 Bellandur Lake was always been in news for all the wrong reasons. Last year, the lake made it to the headline for expelling a large quantity of toxic foam. The residents have always complained about the contamination and inconvenience caused due to excessive pollution. It was even difficult to step outdoors. 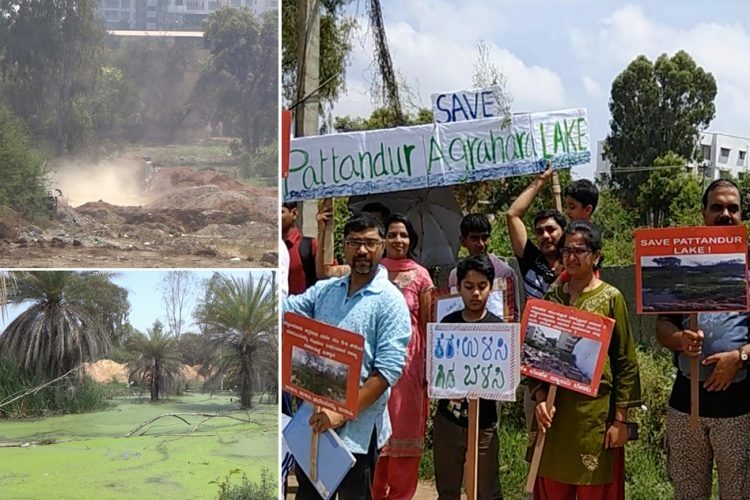 Owing to the hazardous havoc caused due to the foam last year, the National Green Tribunal had directed the government of Karnataka to recondition the lake but it was clearly gone unheard. 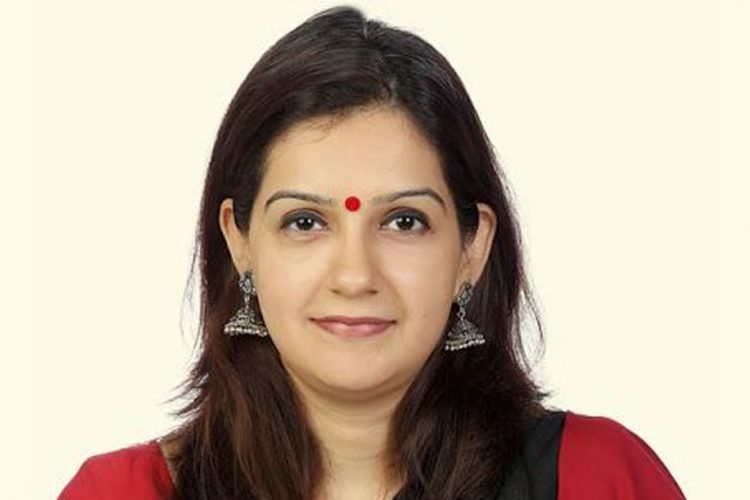 The Bangalore Development Authority (BDA) has been working to remove the weeds. They have also used heavy pieces of machinery such as coir foam mattresses, high power pumps, and advanced filtering techniques but nothing seems to stop the frothing. Bellandur Lake is the largest of the 262 lakes and tanks in Bangalore and is at the receiving end of the city’s 40% of the sewage. Experts from other countries such as Israel and Britain have suggested the pollutants be not thrown in the lake. In 2016, the Environment Ministry had said that about 1,280 million liters of sewage is generated in Bangalore. The rest of the sewage goes into the lakes untreated. 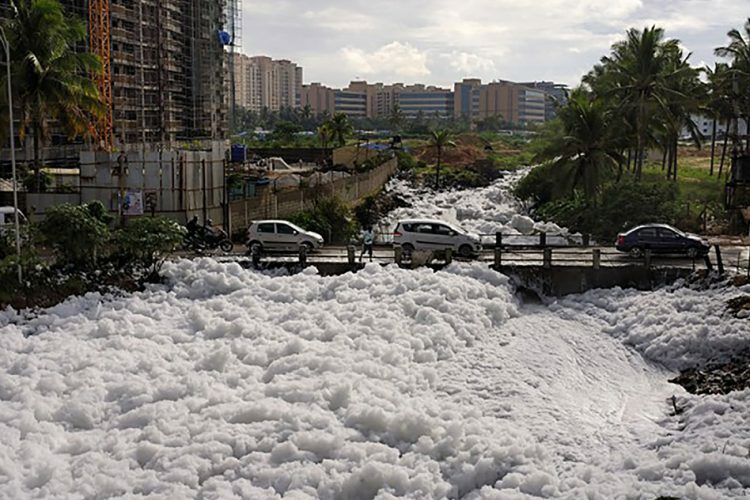 The Government had promised an investment of Rs 800 crore to clean the lakes in Bangalore especially the Bellandur Lake. The Logical Indian applauds the army for being a savior. It is the timely intervention of the army that brought the situation under control. We also congratulate the officials in-charge who took swift action. It is the time that the citizens and the government make sure that garbage, even industrial effluents are not disposed in the lakes.